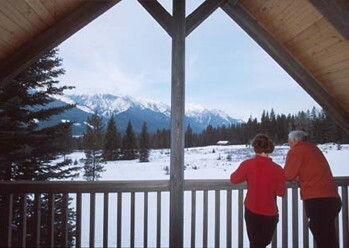 Yearling creek runs behind the Palliser Cabin, which looks to the west over the meadow and mountains. 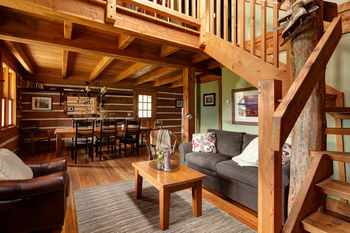 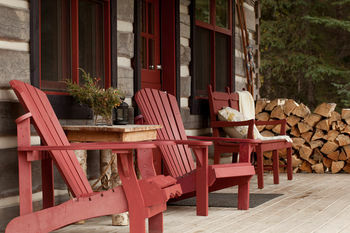 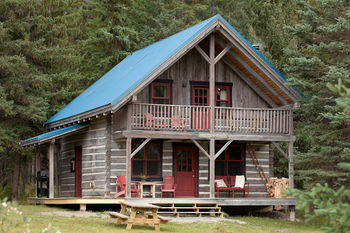 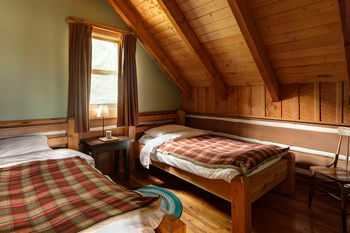 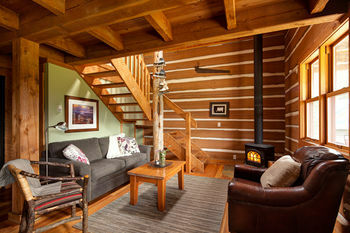 The cabin has three bedrooms, one with a queen bed on the main level and two bedrooms on the second level - one with a queen bed and one with two single beds. 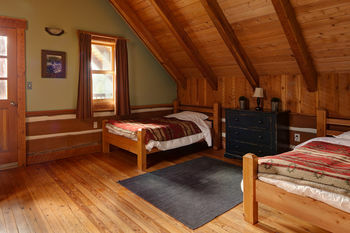 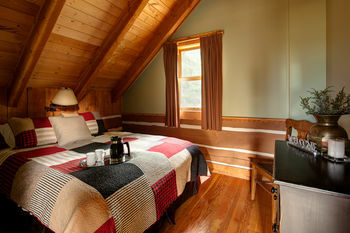 There are also two single beds in the loft.